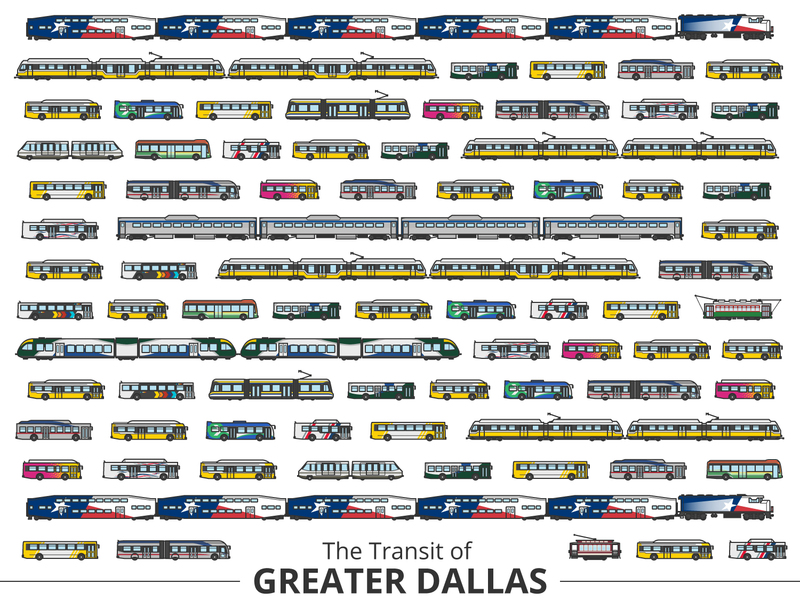 Hobbyist designer and transit enthusiast Peter Dovak is on a mission to visualize the vehicles that make up North America’s major public transportation networks and his latest project tackles the North Texas region. Great work, Peter! Check out the rest of his work at behance.net/pdovak. Can you name all of the vehicles?